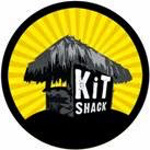 My first visit here this year, I had booked in a few weeks back but during the hot weather the water level was so low the last two matches have been cancelled. 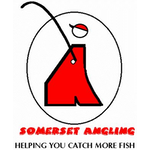 I’d also been chatting to Nicky Collins at Todber a while back and he loves his silvers fishing so I was telling him about Dillington and he said it sounded right up his street and put his name down for this one. 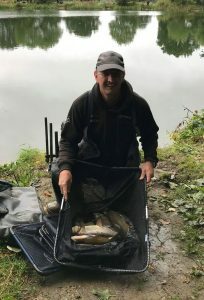 I wasn’t too sure what to expect really as I hadn’t seen any results but Nick Payne said Fieldy had won the last match with 14lb of roach and there had been some decent nets of bream and skimmers on the feeder although no really big weights like last year. The draw was at the bowling club and when I arrived it was already pretty busy as there were fifteen booked in for this one. After an excellent breakfast it was time for the draw and I was towards the back of the queue along with Jess Jordon who has been having the last ball in the bucket and it’s been working well for him with some good pegs in recent weeks. I pulled out peg 18 which used to be one of my favourite winter pegs and then Jess had the last ball which was peg 13, another peg I really like. We got out the pond and its still down on it’s normal level and I had a bit of a job getting my box set up close to the water. For company I had Frank on 19 with John Dursley on 20 and Rob on 21 and Jess was the next angler on my right with Nick Payne next to him and Gordon Aplin was the last angler in our section on peg 11. In the other section Nicky Collins was on peg 9, Jake on 8, Karl on 7, Steve P on 6, Adie Bishop on 4, Stu was on 3, Fieldy on 2 and Leighton was on peg 1. I’d already decided I was going to have a go for bigger fish today and had plenty of bait with me, I’d mixed up some Pro Natural Dark and Special G Gold the night before (I always add a bit of fishmeal as the skimmers do seem to like it) plus I had a pint and a half of casters, half a pint of red maggots and some dead reds, two tins of corn, a tin of the new Bait-Tech Hemp and Corn and another pint of hemp. I hope the fish were hungry! 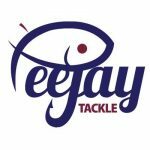 I set up three rigs, a 4 x 16 Preston Chianti for 13 metres straight out, a 0.5 gram Drennan Roach for 10 metres and a 0.4 gram Drennan Pencil to fish off the end of the reeds to my left. 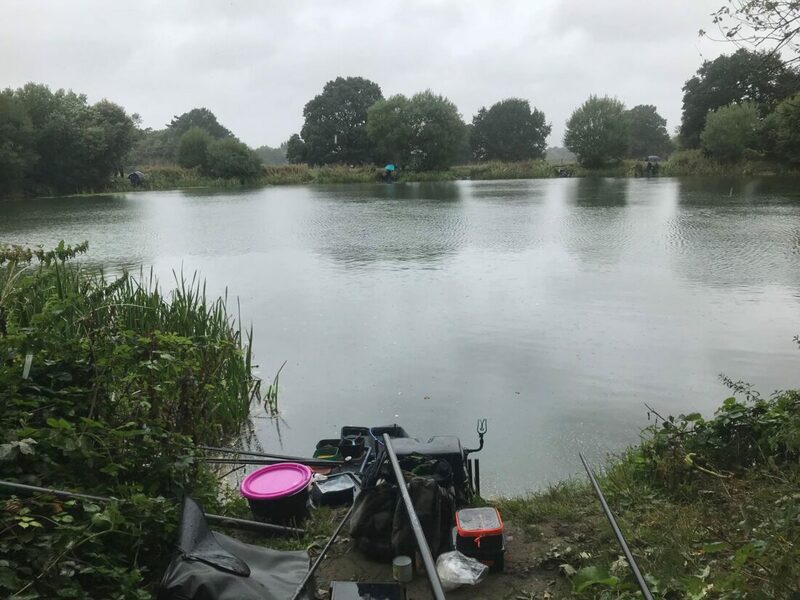 The weather was already atrocious, it was raining hard and there was also a gusty wind to contend with although we had it a million times better than those on the opposite bank who had it straight in their chops! I was ready in good time and Nick got us underway at 10:15. 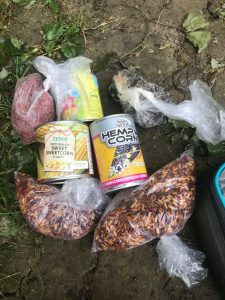 I cupped in a single ball of groundbait at 10 metres before potting in three balls, packed with dead reds, casters and corn, at 13 metres and then followed that with a cup of corn, casters and hemp. Lastly I put two pots of dead reds, casters, corn and hemp by the reeds. I shipped out to 10 metres with a single caster on the hook and fed a few casters and hemp via the catty, the rig didn’t even settle as a small roach took the bait on the drop, it was a fish a chuck, mainly roach 1-2oz along with a couple of small rudd but I knew I wouldn’t be able to compete with Fieldy or Nicky who were both fishing short to hand and already catching lots of small fish. 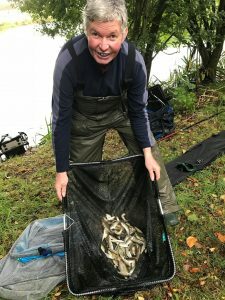 I had 15 fish in quarter of an hour and then hooked a good fish that pulled a fair bit of elastic out but it came off and there was slime all over the hooklength, it felt like a good skimmer but may have been foulhooked. I tried a grain of corn and was getting loads of little knocks which I thought were probably roach and after another half an hour I hadn’t added anything else to the net so it was time to try the longer line for the first time. I shipped out and the float had barely settled before sinking from view and the strike was met with a decent amount of elastic exiting the pole, I shipped back gently and slipped the net under a 1.5lb skimmer – lovely! Next put in I missed a really good bite and then had another skimmer of a similar size and it felt like there were a few fish there. I missed a couple of bites and then had to wait ages for the next bite which turned out to be an 8oz chublet. So with an hour gone, I had over 4lb in the net and from what I could see, I was doing okay although I had to wait a long time for the next bite and then missed it! I potted in another ball of groundbait plus a pot of corn, hemp and casters and left it to settle while I tried by the reeds. Frank shouted up to ask how I was doing, I told him and he replied that he’d had a skimmer and some half decent perch. I gave it fifteen minutes by the reeds but never had a bite so went back out on the long line and had two more decent skimmers straight away but then had to wait ages for a bite again which of course I missed. Then Andy Saunders turned up for a chat and it was great to see him for the first time in years. I had two more skimmers and was probably up to around 9lb with nearly two and a half hours left, I could see Frank and John were getting odd fish and Nick on 14 had landed what looked like a proper bream. I fed the long line again and had another unsuccessful look by the reeds but this time when I went back out, I wasn’t getting as many indications. Eventually the float sailed away and this was no skimmer and after a spirited scrap I netted a 2lb chub and I was still on for a good weight. Frank shouted up that he’d just had one of our furry friends swim by his float and I could see a loads of bubbles to my right as it made it’s way down the pond. I had a few more indications but they weren’t having it properly so it may well have been roach again, I tried double caster but that wasn’t the answer. I could see both Frank and John playing chub so I still thought I’d get a couple more decent fish in the remaining ninety minutes and cupped some more feed in. But then the pond seemed to switch off, I was still getting the odd knock but not the positive bites I had earlier, Nick did have a chub and then near the end John hooked a decent fish which turned out to be a 2lb plus perch. When the whistle went Frank said John had beaten him and I thought both Frank and Nick had beaten me. Andy had sat with me until the end of the match and fair play to him as it had bucketed down all day! 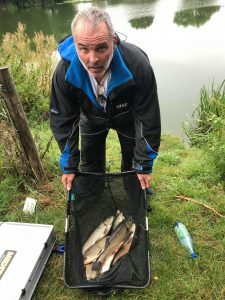 I packed up before going to watch the weigh in and get some photos, Rob didn’t weigh on peg 21 and then John Dursley had a lovely net of fish, bream, skimmers, chub and that perch for 21lb 8oz, Frank had also done well with two chub, skimmers and some chunky perch for 14lb 10oz. Then it was my turn and my fish went 12lb 2oz and I needed a couple more fish but a nice day despite the weather! Jess didn’t weigh so I actually managed to win a side bet for once! 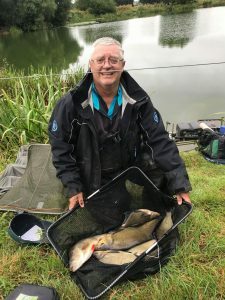 Nick had a good bream, some skimmers and a chub for 15lb 8oz to go into second place and then Gordon Aplin had loads of fish for 3lb 5oz from peg 11. 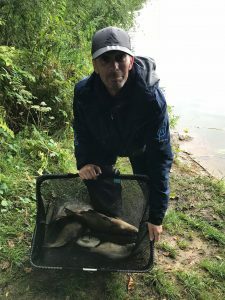 The other section had been a bit tougher, Nicky Collins had the best weight in that section with 10lb 5oz of roach followed by Fieldy with a level 8lb, Adie with 5lb 5oz, Jake had 4lb 10oz, Steve P weighed 3lb 9oz (but did a runner without paying my pound), Karl had 2lb 8oz, Stuart caught 1lb 5oz and Leighton didn’t weigh. Back at the results and John had won with Nick second and Frank third, I ended up winning the £20 section money by treble default! Nicky won the other section and had enjoyed his first visit apart from the weather!